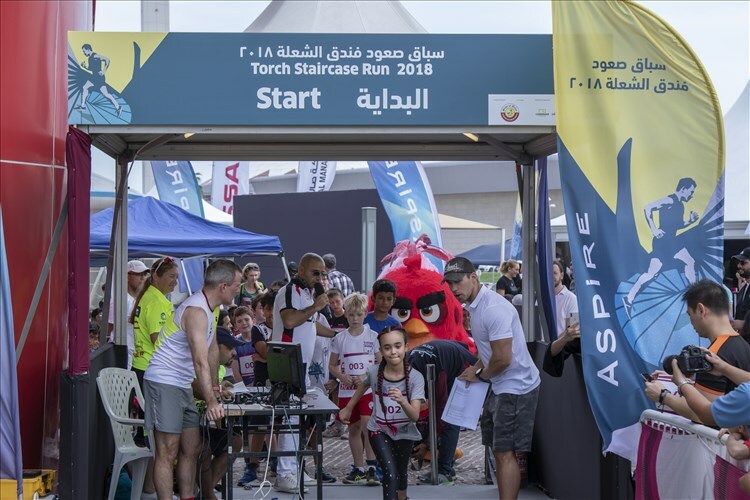 With more than 300 contestants taking part, Aspire Zone Foundation (AZF) successfully concluded the seventh edition of the Aspire Torch Staircase Run (ATSR 2018) on Saturday, 10th of November. 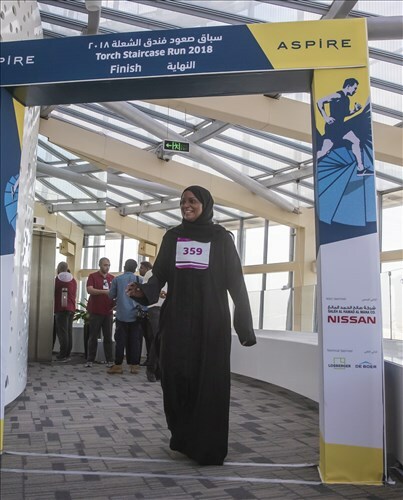 The event involved participants of all ages and backgrounds as well as representatives from various entities and organizations in Qatar. British contestant Andrew Jones was awarded first place in the male category (ages 18 – 99)reaching the top in seven minutes and twoseconds & Katerina Matousova from the Czech Republic was awarded first place in the female category (ages 18 – 99) with a time of 9 minutes 11 seconds. 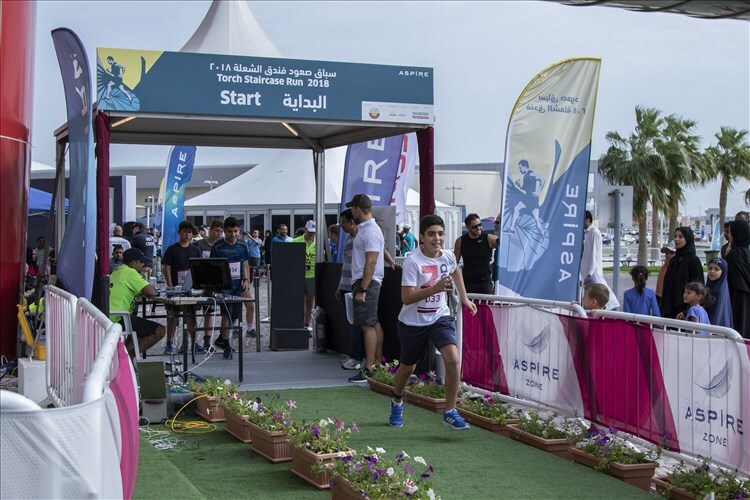 A corporate relay race was added to proceedings for the first time this year and proved hugely popular. 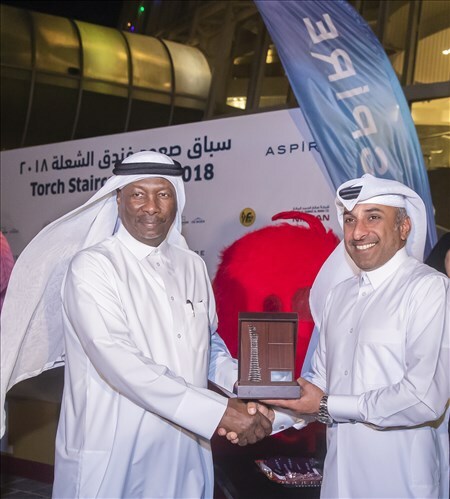 This comprised teams from Aspire Zone Foundation, the General Directorate of Civil Defence from the Ministry of Interior, the Ministry of Civil Aviation, and Qatar Gas. 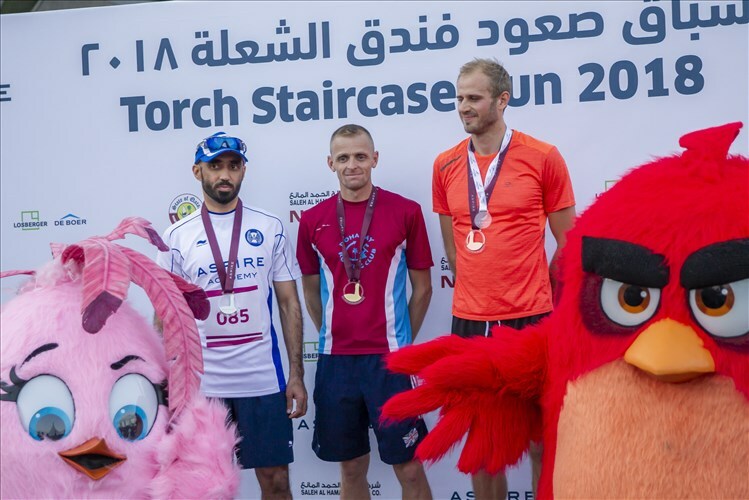 The Civil Defence team secured first place reaching the 51stfloor in a winning time of 8 minutes and 26 seconds. 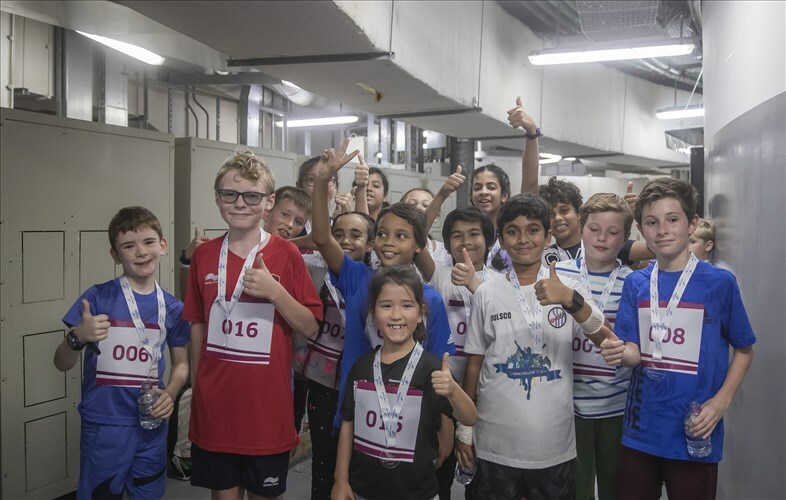 In this year’s (ages 8-11) junior category, participants raced to the 15th floor. 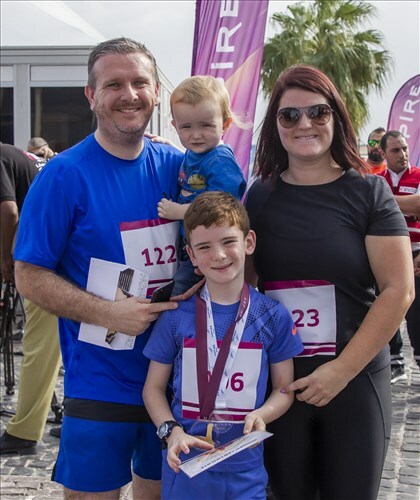 Liam Wilson secured first place in the male category with a time of 2 minutes 49 seconds, while Aisha Al-Maaded earned first place in the female category with a time of 3 minutes 40 seconds. 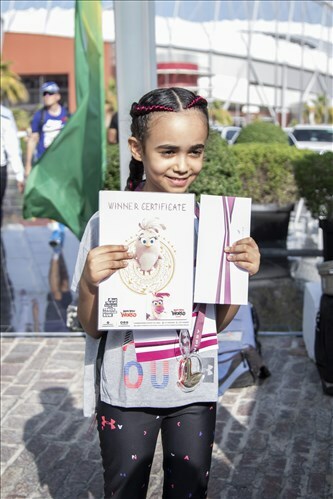 The (ages 12-14) junior male category was won by Ambroise Lion with a time of 5 minutes 30 seconds, and Rasha Kalandan won the female with a performance of 6 minutes and 14 seconds. The (ages 15-17) junior male category was taken by Oliver Guest with a time of 7 minutes and 37 seconds, and Tessa Haynes won the female with a performance of 10 mintues and 50 seconds. 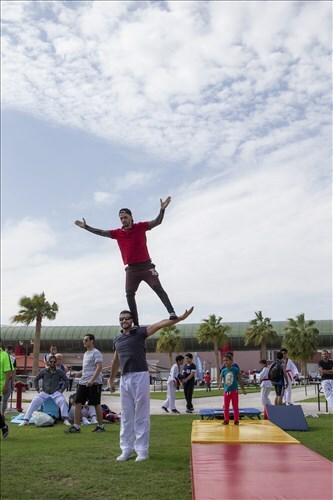 Meanwhile, AZF reserved a dedicated Fun Zone for families that offered a range of food and beverage outlets, taekwondo, Yoga and kickboxing shows and a Kids Area including fitness demonstrations and toy horse rides. 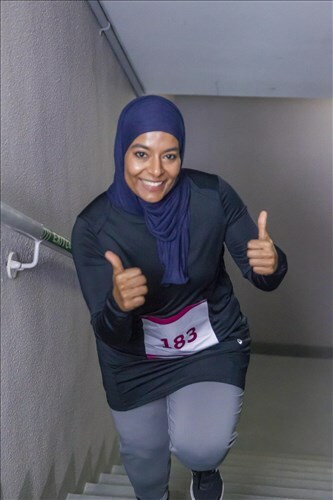 The 2018 edition of the ATSR presented sports enthusiasts with a unique endurance challenge as over 300 runners climbed more than 1,300 steps to make it to the 51st floor of the famous 300m tower. 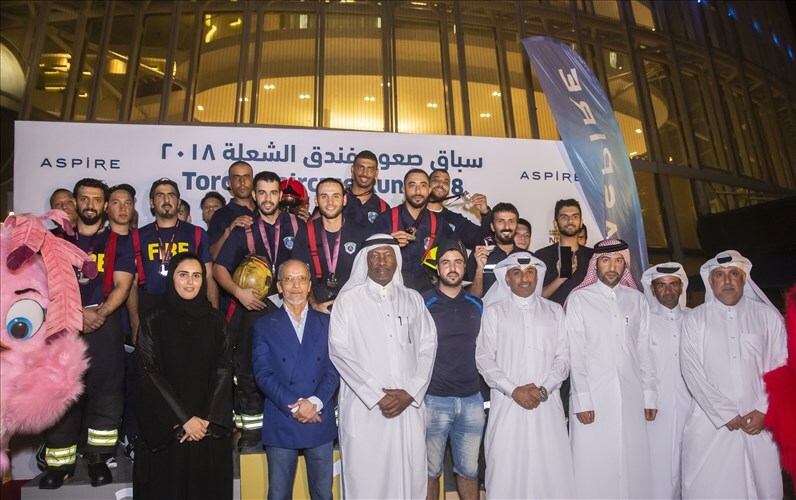 The top three contestants in each category were awarded great prizes and the event was supported by the event’s partners and sponsors Saleh Al Hamad Al Mana Co, Nissan and De Boer.